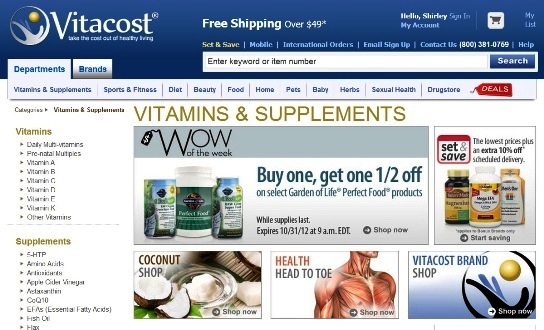 You are here:Home » Vitacost Online Shopping » Get Your Health Supplements & More From Vitacost! Are you a health fanatic or a firm believer of vitamins & health supplements? If you're one, then you'll need to seriously consider buying your stuff online at Vitacost, a leading online retailer of vitamins & supplements with attractively low prices. Many readers & friends often asked me how I look so young & healthy. Well, the credit doesn't entirely go to my beauty skincare regimen. I take a lot of health supplements & tonics due to my unhealthy diet. Since my daily food intake does not add up to a well-balanced meal, I would take Acai Berry, Evening Primrose, Calcium, Fish Oil & Multi-Vitamins daily to supplement my diet. On alternate nights, I would also drink a bottle of Collagen. Once or twice a month, I make an effort to double-boil Chinese tonics such as Korean Ginseng, American Ginseng or other mix of Chinese Herbs. I would also make my fave Bird's Nests desserts or soups. All these seem to be paying off. I actually saved quite a bit taking advantage of Vitacost house brands with their "Buy one, get one at 50% off" promo, & was also attracted to their high ratings by customers. #Note: To complete your daily nutritional needs, we suggest adding Vitacost Calcium & Magnesium, which provides recommended DV levels of calcium (500 mg, as calcium citrate malate, the most absorbable form) & magnesium (250 mg). 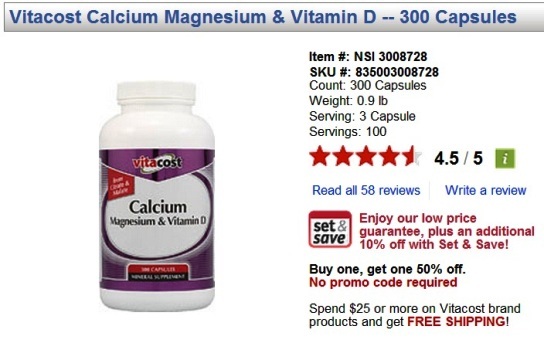 What is Vitacost Calcium, Magnesium & Vitamin D (US$15.49)? Vitacost Calcium, Magnesium & Vitamin D provides two minerals plus vitamin D in one convenient formula. How does Vitacost Calcium, Magnesium & Vitamin D support health? Why choose Vitacost Calcium, Magnesium & Vitamin D? 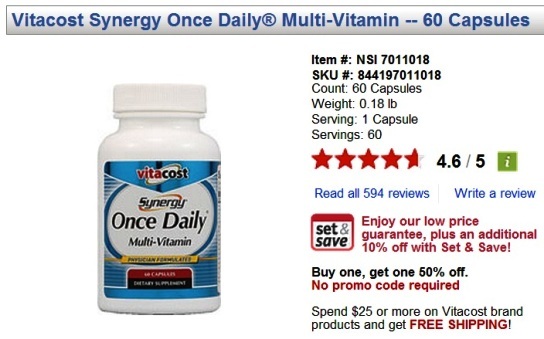 Combines minerals & vitamin D in one convenient formula. Good source of two forms of calcium, calcium citrate & calcium malate, for optimal absorption. Features vitamin D3, which is considered superior to vitamin D2. Contains 100 servings per bottle. Vitacost nutritional products are manufactured to high standards of quality, efficacy & safety. Each Vitacost product meets or exceeds the standards & requirements set forth in the FDA’s Code of Federal Regulation (21 CFR, 111) Current Good Manufacturing Practices (CGMP). With all the convincing above, the high ratings from their customers + 50% off 2nd bottle, there's no reason why I shouldn't try Vitacost house brands. Formulated with the unique ingredients Prosina, a Keratin Peptide, which helps nails become stronger & more break resistant. 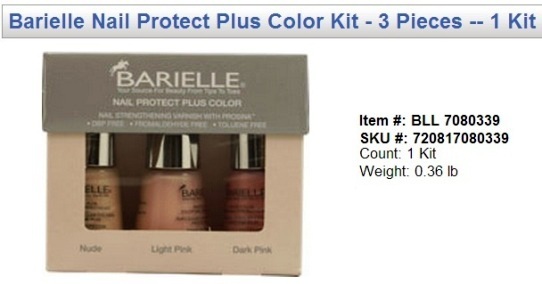 This high viscosity formula will help provide a reinforced shield for maximum protection & durability, while giving your nails a beautiful splash of color. So what do you think of these shades? Like before, shopping at Vitacost is such a joy with their easy-to-navigate website. I love browsing through their bright & colourful catalogue which comes with your orders. On their Food page, they even have a Vitacost Recipe! From Baking, Condiments & Dressings to Ready to Eat Meals, there's just so much to shop! Shoppers, enjoy FREE shipping on orders over US$49 within the contiguous U.S.! For other orders within the 48 states, shipping is just US$4.99. 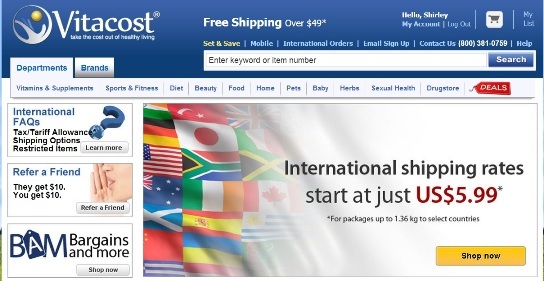 Vitacost also offer international shipping to more than 40 countries! Like what you saw? Well, Luxury Haven will be holding another Giveaway soon, courtesy of Vitacost. 1 lucky reader will walk away with US$75 to shop at Vitacost!! Uru, have fun browsing Vitacost! Eunice, too bad Vitacost don't deliver to M'sia as it's under their list of "fraud" countries :< Do look out for other Int'l Giveaways coming up! I've never heard of Vitacost but it looks like they have some great deals. Thanks for sharing! Rowena, thks & have a good day! You have always looked good Shirley and now that you are kind enough to share the secret to your beauty, I am lined up to buy some of these products. Nava, I'm afraid u may have to get your supplements from your malls instead as they can't deliver to M'sia. SN, thks & have a good day! 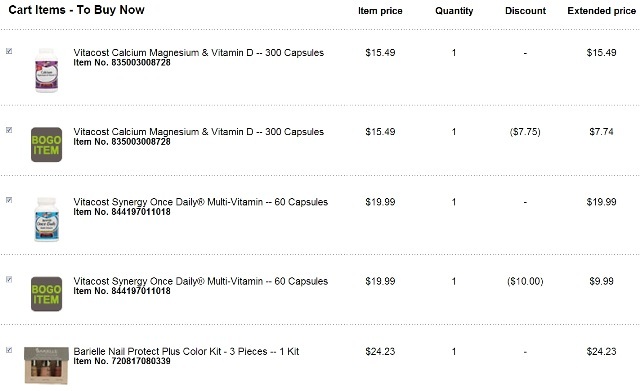 I love ordering from Vitacost. Great savings and fast shipping. Thank you for leaving a comment and for following. I'm also following you via GFC :) Great blog! Hey, good work . I am really impressed . got great info. Justin, thks for your kind note & have a good day!